Jim has a long involvement with ADR both as a practicing attorney and as the CEO of Blue Cross & Blue Shield of RI. As a trial lawyer, Jim represented clients in mediations and arbitrations. He was a charter member of the ADR Panel of the US District Court for the District of RI and conducted court assisted mediations and early neutral evaluations, until he left his practice in 2000 to become first the COO and later in 2004, the President & CEO of Blue Cross RI. 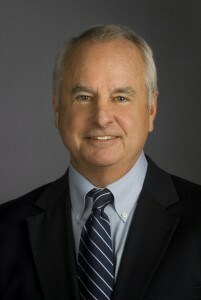 He remained CEO until he retired effective December 31, 2011. He practices independently and focuses solely on ADR as facilitator, mediator, and arbitrator. As an attorney, he focused on the resolution of complex business disputes, particularly in healthcare. Jim has sat in mediations both as counsel and as client. He understands both perspectives. He takes an active role in moving the parties toward resolution. He believes pre-meeting preparation is very important. Jim makes it clear how he will conduct the proceeding to minimize surprises to counsel. At the onset of the mediation or facilitation, he will set the tone with the clients, making them understand this is not about mad dog litigation or “winning,” but rather settling. Counsel will tone down their arguments in hopes of a civil, courteous and respectful dialogue. ADR, particularly in the healthcare arena, is the best way to resolve disputes. Confidentiality is key to the participants; subject matter expertise is a must; and the attorneys get to choose who will conduct the proceeding, unlike in the court system. Read more about Jim in his neutral profile. Celebrating 25 Years of Service! Have our impartial mediator assist all parties to negotiate their own settlement in a comfortable and professional atmosphere. Learn more about mediation.